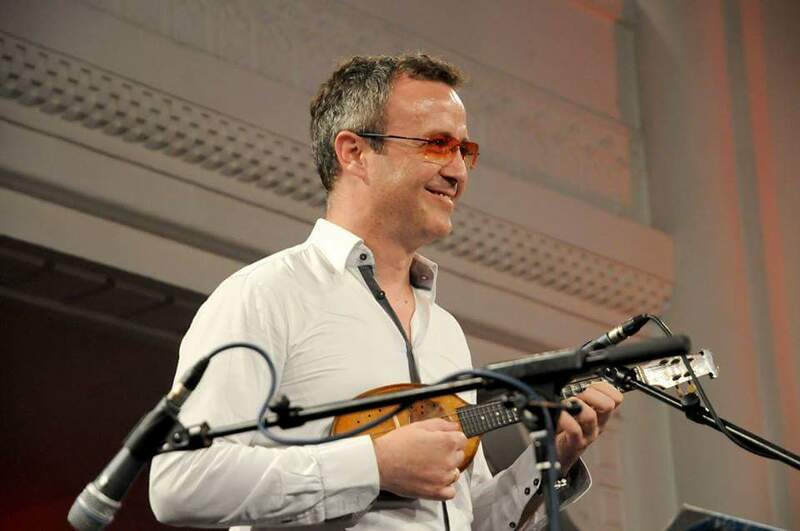 The citizens and quests of Novi Sad, during the celebration of the Serbian New Year’s Eve that was organised by the ‘Novi Sad 2021’ Foundation, had a chance to listed to Dušan Svilar accompanied by two tamburitza orchestras in the packed Studio M. The two orchestras were ‘D7’ from Novi Sad and TS ‘Foršpil’ from Osijek. The great impressions from this concert ‘for the soul’ were conversation topic long after the event itself. This is why we discussed the topic of cooperation, culture as connection between these two cities, general impressions and future plans with Igor Mavrin from Osijek, consultant for cultural policies, and Danilo Ninković, our fellow citizen and member of the Managing Board of the World Tamburitza Association, who were directly involved in the implementation of the first cultural project between Osijek and Novi Sad. To what extent is the culture marked with borders today? I.M: Borders as we see them today don’t correspond to the system of circles on which the culture is founded. Initiatives at the level of European Union, such as the European Capital of Culture and similar projects and programmes, strive to erase these borders made by politics. The very logic of co-financing cultural projects at the European level implies cooperation of subjects from different countries. This cooperation often reveals how many similarities there are in certain cultures, despite being several state borders apart. The language itself, as the main characteristic of culture, with its shades, reveals numerous similarities. Of course, there are numerous differences, so we can simultaneously discuss European culture and European cultures. In the conditions of globalisation and digitisation, these borders became less and less visible. D.N: The borders are created for some other purposes. Culture does not recognise borders, and those who separate culture into ‘theirs and ours’, ‘left and right’ don’t really understand what culture is. Culture today just confirms its historical role in society, and through its ethical and aesthetic categories and concepts it makes us better and happier. Music as a link, a bridge. How do you define music in this sense? I.M: Music is a bridge. In itself it is a powerful communication tool, it has been since ever, from its role in rituals and rites of prehistoric times to modern ‘rituals’ on dance floors. During the preparation of Osijek for the candidacy for the European Capital of Culture in 2020, we created the project entitled Musical Bridges inspired by this communication component. When other communication tools fail, music will be the one to bridge the differences. D.N: I am sure that the feeling created by listening to a beautiful composition, even if it’s just an instrumental, exceeds the feeling when you look at a beautiful painting, although it is worth a thousand words. Emotions created by music are unprecedented. There is no person in the world that could resist a strong urge to tap foot, hum a known melody or just move head in the rhythm of a music tune. Music is in all of us and that is why its universality connects us and creates bridges and connections between people, despite our differences. Music has defined its role long ago, for us it is enough to respect it, nurture it, and enjoy it. Novi Sad and Osijek are only 100 km apart. To what extent are they similar, and to what extent do they differ? How much (if at all) do similarities/differences between these cities reflect in music of tamburitza orchestras that accompanied Dušan Svilar? I.M: Novi Sad and Osijek are part of the same cultural circle, this Danube, i.e. Pannonian Basin. We are connected by life in several former states, as well as by one important string – the tamburitza one. Experts for tamburitza music will certainly notice differences in approaches and schools, but in essence it is the same music, which had emerged and has been intertwined on this territory for centuries. Osijek, in many elements that are both visible and invisible, is more like Novi Sad that other cities in Croatia. The urban tamburitza story confirms this similarity. Tamburitza, at the same time, belongs to both identities of Osijek and Novi Sad. D.N: Osijek and Novi Sad are very similar cities. Each has its own peculiarities, but in general they are very alike. From architecture to people, from historical to cultural values. We are very close, and we are definitely part of the same story. I think all the best about Novi Sad, but Osijek is a city of hospitality, good and honest people, and a city of exceptional artists. The tamburitza is an instrument that you love. Who has not heard the sound of the tamburitza, falls in love with it after hearing it for the first time. The interpretation of Slavonija and Vojvodina tamburitza players is stylistically different, but the essence is the same. Dušan Svilar is one of the most promising vocal soloists in the region and has no genre boundaries in his interpretations. It is a pleasure to accompany such an artist and there were no differences regarding the quality of orchestras that accompanied Dušan Svilar, the differences were small artistic finesses and timbre, which certainly gave a special feel to this performance. What would you single out as the strongest impression of this cooperation? I.M: The cooperation initiated in the candidacy period for the capital of culture, i.e. ‘Osijek 2020’ and ‘Novi Sad 2021’ projects. Now it continues although Osijek did not win the title. This tamburitza project symbolically initiates other cooperation projects between these cities and that is the strongest impression. D.N: When we discussed the concept and repertoire for the performance, we agreed on everything in five minutes. After that, we talked for hours and enjoy each other’s company. The performance was a pleasure for both the performers and audience. The strongest impression was the interaction between the two orchestras during the performance, as well as the exchange of emotions at the artistic level between the orchestras, soloist and audience. Novi Sad will be the European Capital of Culture in 2021. The projects and activities have already begun, accompanied by many new cultural events. In addition to this, we had an extraordinary programme for the celebration of the two New Year’s Eves. What is your opinion – are we on the right track? 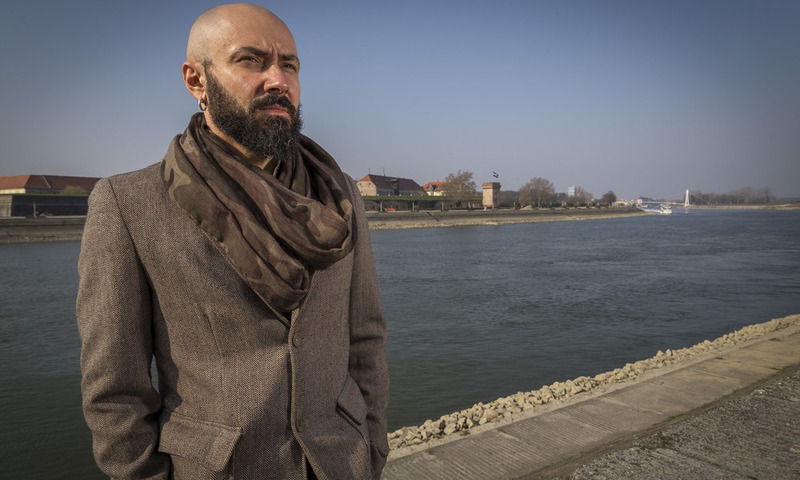 I.M: The ‘Novi Sad 2021’ project moves in the right direction. It is important, even during the ramp years, to connect the existing cultural projects with the communication of the ECoC project. It is important to prepare new projects, create new cooperation, reach out from the traditional notion of culture and art, and strengthen cooperation between the cultural and other sectors, such as environmental, economic and digital. European Capital of Culture has a strong developmental potential – cultural, social and economic – Novi Sad has to use this opportunity. Having in mind the strength of the projects that are being prepared, I believe that it will succeed in this. D.N: Everything we have done in the candidacy period for this prestigious status, and everything we will do up to 2021 will move the boundaries and improve cultural values of our city, our country and the region. Everything that we will do in the spirit of these values after 2021 will additionally improve our cultural life and our life in general. The cause to be innovative and creative was rightfully awarded to us and we have to prove that we are trustworthy and to improve ourselves and people around us. I believe we are on the right track.